Thank you to those that have already downloaded SQL Server 2014 CTP1 and started seeing first hand the performance gains that in-memory capabilities deliver along with better high availability with AlwaysOn enhancements. CTP2 introduces additional mission critical capabilities with further enhancements to the in-memory technologies along with new hybrid cloud capabilities. What’s new in SQL Server 2014 CTP2? Enhanced In-Memory OLTP, including new tools which will help you identify and migrate the tables and stored procedures will benefit most from In-Memory OLTP, as well as greater T-SQL compatibility and new indexes which enables more customers to take advantage of our solution. High Availability for In-Memory OLTP Databases: AlwaysOn Availability Groups are supported for In-Memory OLTP, giving you in-memory performance gains with high availability. IO Resource Governance, enabling customers to more effectively manage IO across multiple databases and/or classes of databases to provide more predictable IO for your most critical workloads. Customers today can already manage CPU and memory. Improved resiliency with Windows Server 2012 R2 by taking advantage of Cluster Shared Volumes (CSVs). CSV’s provide improved fault detection and recovery in the case of downtime. Delayed Durability, providing the option for increased transaction throughput and lower latency for OLTP applications where performance and latency needs outweigh the need for 100% durability. By enabling the above in-memory performance capabilities for your SQL Server instances running in Windows Azure Virtual Machines, you will see significant transaction and query performance gains. In addition there are new capabilities listed below that will allow you to unlock new hybrid scenarios for SQL Server. Managed Backup to Windows Azure, enabling you to backup on-premises SQL Server databases to Windows Azure storage directly in SSMS. Managed Backup also optimizes backup policy based on usage, an advantage over the manual Backup to Windows Azure. Encrypted Backup, offering customer the ability to encrypt both on-premises backup and backups to Windows Azure for enhance security. Enhanced disaster recovery to Windows Azure with simplified UI, enabling customers to more easily add Windows Azure Virtual Machines as AlwaysOn secondaries in SQL Server Management Studio for greater cost-effective data protection and disaster recovery solution. Customers may also use the secondaries in Windows Azure for to scale and offload reporting and backups. 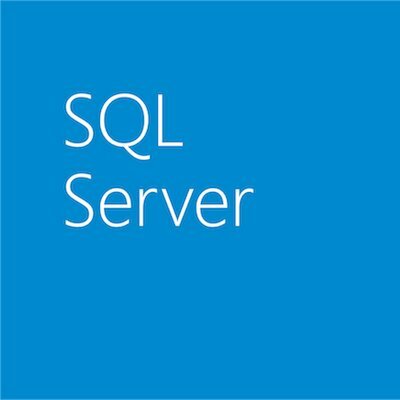 SQL Server Data Files in Windows Azure – New capability to store large databases (>16TB) in Windows Azure and the ability to stream the database as a backend for SQL Server applications running on-premises or in the cloud. SQL Server 2014 helps address key business challenges of ever growing data volumes, the need to transact and process data faster, the scalability and efficiency of cloud computing and an ever growing hunger for business insights. With SQL Server 2014 you can now unlock real-time insights with mission critical and cloud performance and take advantage of one of the most comprehensive BI solutions in the marketplace today. Many customers are already realizing the significant benefits of the new in-memory technologies in SQL Server 2014 including: Edgenet, Bwin, SBI Liquidity, TPP and Ferranti. Stay tuned for an upcoming blog highlighting the impact in-memory had to each of their businesses. Learn more about SQL Server 2014 and download the datasheet and whitepapers here. Also if you would like to learn more about SQL Server In-Memory best practices, check out this SQL Server 2014 in-memory blog series compilation. There is also a SQL Server 2014 hybrid cloud scenarios blog compilation for learning best practices. Also if you haven’t already download SQL Server 2014 CTP 2 and see how much faster your SQL Server applications run! The CTP2 image is also available on Windows Azure, so you can easily develop and test the new features of SQL Server 2014.